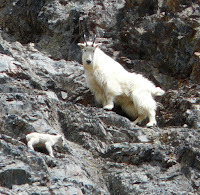 Mountain Goats in British Columbia, come see them for yourself on our guest ranch vacations! This 3 kg baby mountain goat was born in late spring this year and was already attempting to run and climb the mountains within hours. 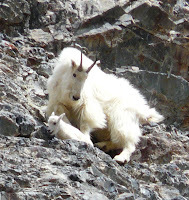 The mother goat gives birth, usually to a single offspring, after moving to an isolated ledge. Although they are mostly weaned within one month, kids follow their mothers closely for the first year of their life till the mother gives birth to a newborn. 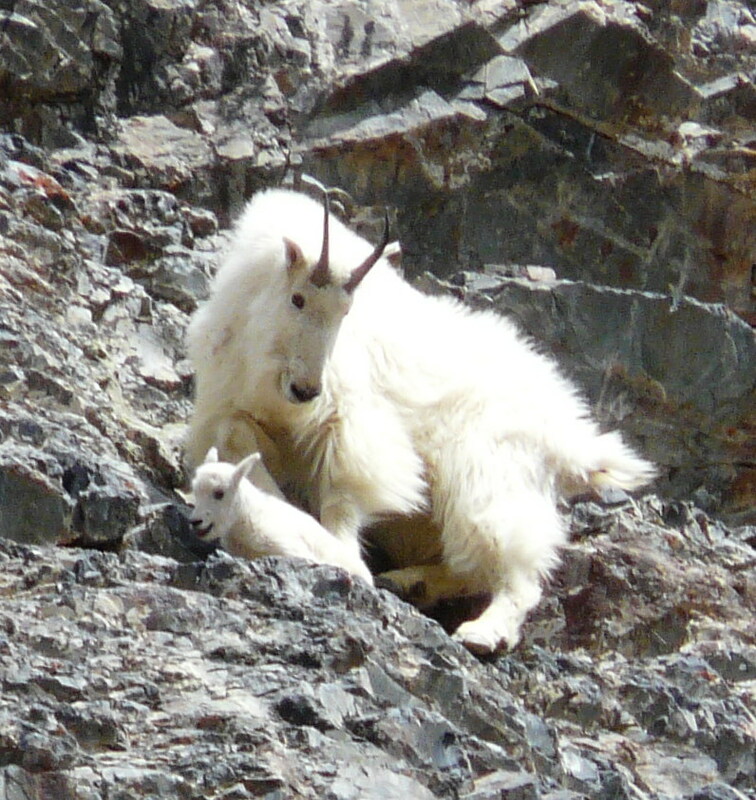 The mothers protect their young by leading them out of danger, standing over them when faced by predators, and positioning themselves below their kids on steep slopes to stop free falls. Enjoy with the Chilcotin Holidays Guest Ranch team and venture into the South Chilcotin Mountains, seeing Mountain Goats and various other wildlife in their natural habitat. Through our guest ranch vacations, you can decide to go for a horse pack trip on our Moutain Cayuse horses,a hike trip or even for a mountain bike tour. It doesn't matter if you are a beginner or advanced, we promise to create an unforgetable 5 Star Wilderness Experience for you. Phone us at 250-238-2274 or send us an Email to book your guest ranch vacations with us! To get more information about our ranch visit our Website!